Has it ever happened to you that while you are taking shower the water started getting cold before you were done with it? You might think of buying a water heater with a bigger tank. No matter what tank size you choose, it could always run out of the water. If you want a continuous flow of hot water, it is best for you to choose a tankless water heater for your home. 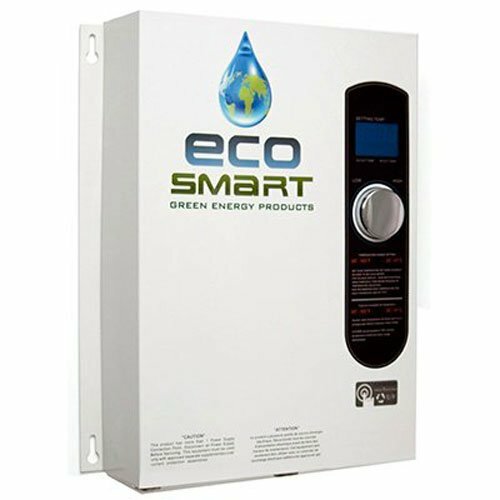 Tankless models are gaining popularity which provides you with a never-ending flow of water. They are energy efficient, cost saving, and come with a longer lifespan. You can make efficient use of advanced technology by having fast heating systems and low maintenance needs by installing tankless heaters in your house. However, you might get confused about choosing the correct tankless unit. Worry no more because I have prepared this in-depth guide for you to help you come up to the right decision. You don’t have to worry about facing the problem of running out of hot water in your house anymore. Read on to find out how to select the correct tankless heater for your home. Why ShouldYou Go Fora TanklessModel Instead of a Tank-BasedWater Heater? Having a constant supply of hot water in winters is essential for you to carry out your daily chores like dishwashing, clothes washing, and bathing. Having your hair covered with shampoo and the water turning cold is a nightmare. Tankless water heaters make the water hot for you whenever you need it. It uses a source of heat to keep the water hot and directly heats the water up without using a tank. Tankless water heaters are better over traditional water heaters because they don’t need you to store hot water to take a bath. Your shower time does not depend on having the hot water supply. A water heater with a tank has the capacity of supporting three showers in a row. If you are the last one in the house, you might have to take a shower with cold water. What Type of Tankless Water Heater Do You Need? When you decide to buy a tankless heater for yourself, you might find it difficult to decide whether to buy an electric tankless heater or a gas tankless heater. Is there any difference between the two? It is important for you to note that electric tankless heaters require a tremendous amount of electricity to run properly. If you want a small tankless heater for your house, an electric tankless heater won’t be a bad choice. However, if you are looking for a whole home-system tankless heater, it is better to buy a gas-fueled tankless heater for your home. 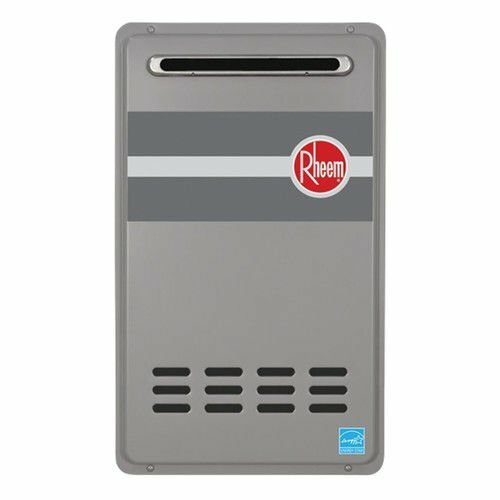 If you are concerned about the efficiency of the tankless heater and consistent supply of hot water, the gas-fueled tankless heater is the right choice for you. Gas-fueled tankless heaters tend to heat the water up faster as compared to electric tankless heaters. Without a doubt, they are 50 percent more efficient than an electric tankless heater. There is no extra energy used to keep the water hot. They are a smart choice for people who are budget conscious. Moreover, Gas is cheaper than electricity, so you don’t have to worry about your increasing electricity bill. 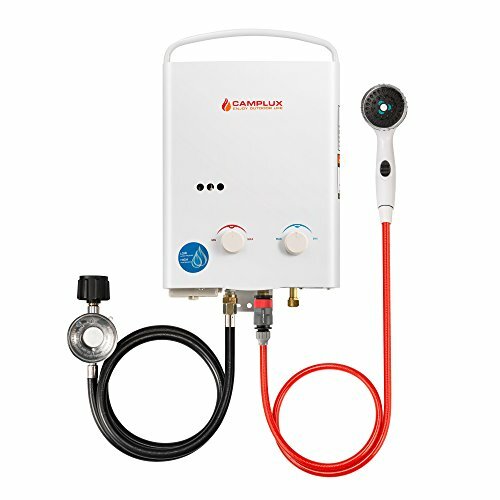 The only major drawback of a gas-fueled tankless heater is its installation cost. If energy efficiency is your primary goal, choose a gas-fueled tankless heater to meet your water demands. 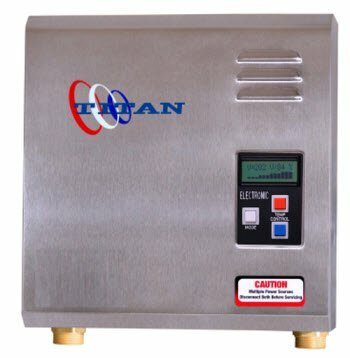 What Size of the TanklessWaterHeater isBest for You? If you are thinking of buying a tankless heater for your home, it is important for you to take into consideration the amount of hot water you use on a daily basis. You need a water heater which meets your hot water demands without wasting much energy. You don’t want to increase your utility bills by reheating the water irrespective of the fact whether you need it again or not. If you have a big family, you don’t want to be the last one to take shower and have the inconvenience of taking it with cold water. A heavy duty tankless heater would be the best choice for you to fulfill your water demands. A smaller capacity heater would be enough for you if you have 2-3 family members. The right sized water tankless heater would meet your water demands efficiently. To find the optimal size of the tankless heater, you will have to determine the flow rate and temperature rise in your home. It is important for you to keep in mind that you don’t buy an undersized tankless heater. It won’t be able to meet your hot water needs and you will feel frustrated. Before selecting the perfect tankless heater for yourself, make sure that you determine your appliance needs. There are point-of-use tankless heaters which provide hot water to a particular faucet. You can use them to reduce your energy usage. If you live alone in your apartment or you have a small family. It is best for you to buy a point-of-use tankless heater. You can even install multiple point-of-use tankless heaters to meet your hot water demand. 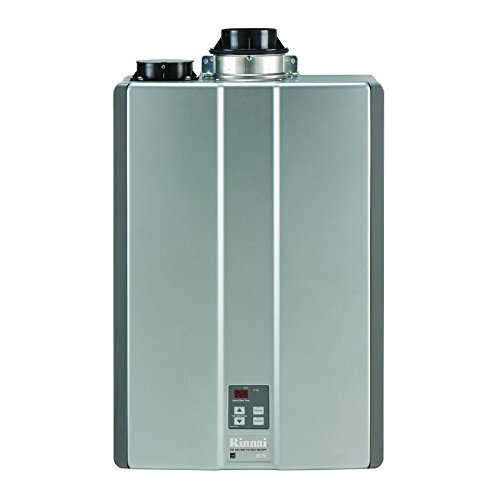 Tankless water heaters are also available as whole-home systems. These tankless heaters are crafted to meet the hot water demands of your entire house. They meet your hot water requirements on a need basis only without wasting any energy. They provide you with maximum efficiency to enjoy the endless hot water in your house. As long as there is water, gas, and electricity supply in your house, you won’t run out of hot water. Before installing the tankless heater, it is better for you to consult a professional to determine your hot water requirements. List the number of faucets you plan to use for hot water usage to determine the size of tankless water to fulfill your needs and determine the desired flow rates of the devices. Add the flow rates (gallon per minute) to detect the right amount of flow rate. For instance, if you plan to run your washing machine with a flow rate of 2.0 GPM and your shower with a flow rate of 2.5 GPM, the flow rate you’ll need through the tankless water heater would be 4.5 GPM. If you want to reduce the flow rate, you can install low-flow rate water fixtures in your house. A temperature rise of a tankless water heater is the difference between the internal temperature of the water and the desired output temperature. This temperature rise affects the efficiency of the water heater. It is important for you to determine your temperature rise before buying the right tankless heater. 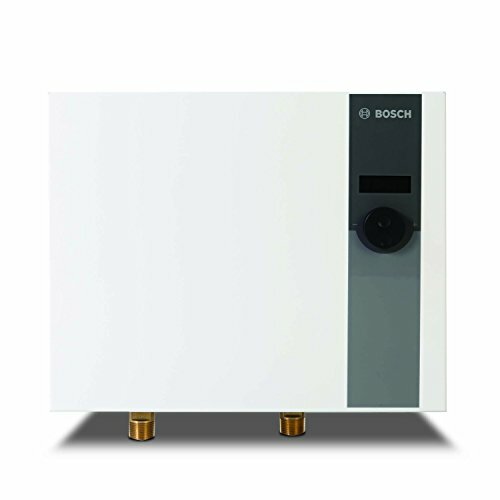 Match your desired temperature with the tankless heater capable of providing you the amount of heating you require. By subtracting the incoming water temperature from the desired output temperature, you’ll get the required temperature rise. You can use a low-temperature assumption if you don’t know the actual desired output temperature of water in your home. Using a low-temperature assumption would allow you to choose the right size of the tankless water heater. You won’t make the mistake of purchasing an under-sized tankless water heater. If your desired temperature output is 120 degrees F, you’d want a tankless heater that produces a temperature rise of 70 degrees F. For dishwashers which don’t come with an internal water heating system, you might want a temperature rise of 90 degrees F.
Following is the chart which gives you an estimated flow rate for fixtures which are commonly used in your home. The estimated average temperature rise is also mentioned to make it easy for you to have an idea about which size tankless heater to choose for your home. A typical water heater is usually bulky and requires a lot of space in your house. 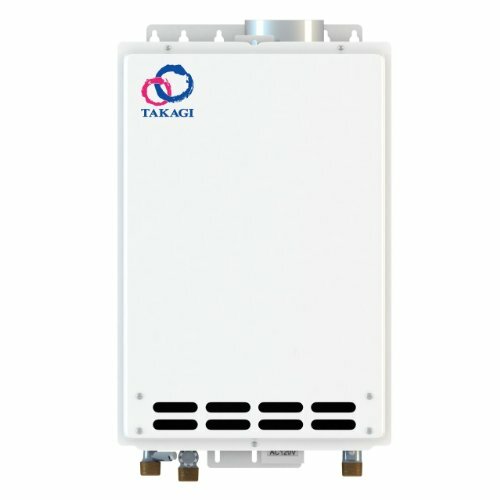 Tankless water heaters come with a compact design. It does not need a large space for installation. It significantly takes less space as compared to a traditional heater with a tank. 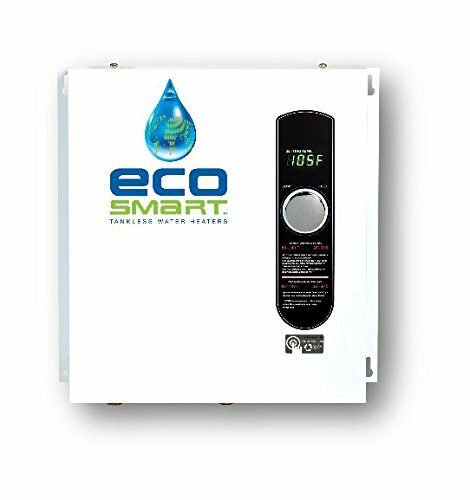 Tankless water heaters are specially crafted to heat water as needed. These units are smaller than the conventional water heaters, but they have a longer lifespan. Because the heaters are without a tank, they are not subject to decay. Traditional water heaters come with a tank which is usually made of metal. Because the heated water in the traditional water heater is stored in the tank, if it is not used for a certain period of time, the tank develops deposits which settle down at the bottom of the tank. The built-up deposit in the tank acts as an insulation and it becomes difficult for you to get the hot water from the tank over time. Therefore, it is best for you to invest in a tankless water heater because you don’t have to worry about water deposits settling at the bottom. A traditional tank heater lasts from 8 to 12 years whereas a tankless heater has a lifespan of 15 to 20 years. The best thing about tankless water heaters is that they provide an unending stream of hot water quickly without any hindrance. Without the inconvenience of storing water in a tank, they are designed to give you an unlimited supply of hot water. It flushes the cold water out of the pipes of the faucets and delivers its promise by giving you a never-ending supply of hot water. Energy efficiency is the biggest selling point of tankless models. They operate on the condition that they heat water on demand. You don’t need a tank to store hot water to use it later. They eliminate the chance of standby energy loss. Standby energy loss is the wastage of energy and heat loss which occurs in a traditional water heater. A lot of energy is wasted in the standby mode by repeatedly heating the water. Whether you are using a point-of-use tankless heater or a whole-house system, the tankless water heater heats the water up by a heating element when the flow activated switch is turned on. If you are looking for a new water heating unit, after reading my guide you’d have a clear idea about how to select the right tankless heater for your home. If you want to save your money and choose an energy efficient unit to have never-ending hot water in your home, the tankless unit is the best selection for you. My guide would be quite helpful for you to choose the right size of tankless heater for your home. Make sure that you choose the correct size, otherwise, you won’t be able to have access to unlimited hot water supply due to variation in the demand not matching up with the size of your tankless heater. A small tankless unit would be enough for you if you have a small hot water demand. If you have a small number of faucets in your house which require hot water, a small tankless unit would be sufficient. To make your tankless heater powerful enough for your needs, choose the tankless heater carefully. You can even take the help of a professional plumber if you are unable to come up to a decision yourself. Keep the size of your home, number of faucets and hot water demand in mind before purchasing a tankless heater for your home.